The NW Natural Smart Energy program has teamed up with Miller Paint to conduct a promotion called “Paint Your Home Green,” focused on home improvement and earth friendly “green” products. 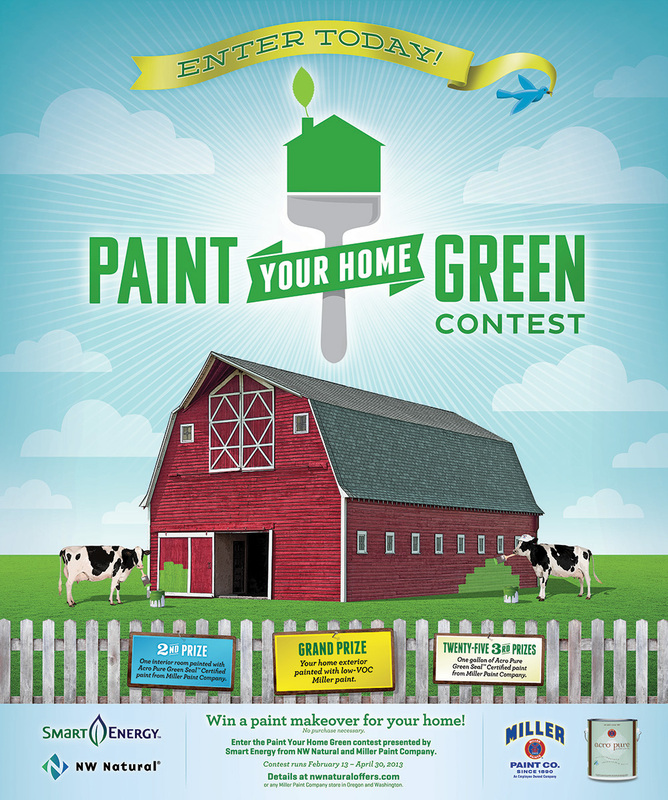 The “Paint Your Home Green” Contest encourages people to enter to win a chance at getting a fresh coat of Miller Acro Pure Paint for their home. The grand prize is the exterior of a home painted, with the second prize being a single interior room painted and a third prize of a gallon of Miller Acro Pure Paint. Magneto was enlisted to develop the promotion’s look and feel along with designing promotional materials including posters, window clings, entry boxes and forms, web graphics and paint stir sticks. The contest will be running February 13 – April 30. 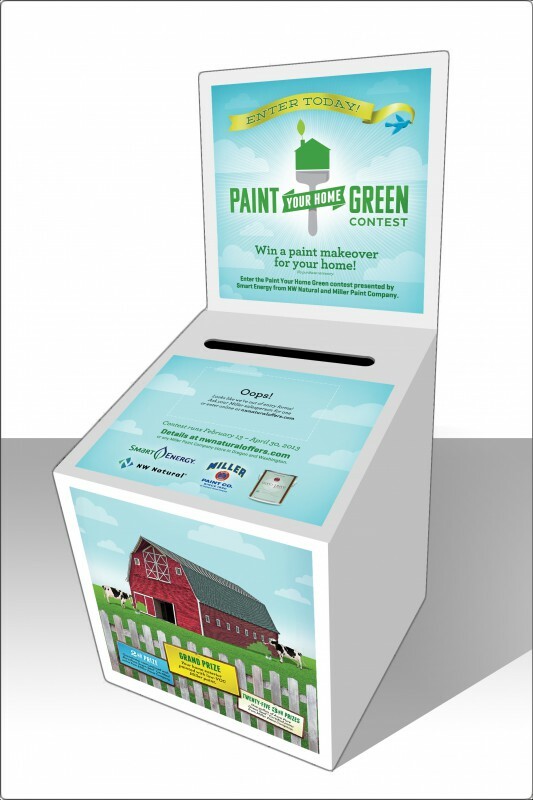 Visit a Miller Paint store near you to enter and check out our sweet design work.